One of our members, W Bro Jon Pyne, is a driver. 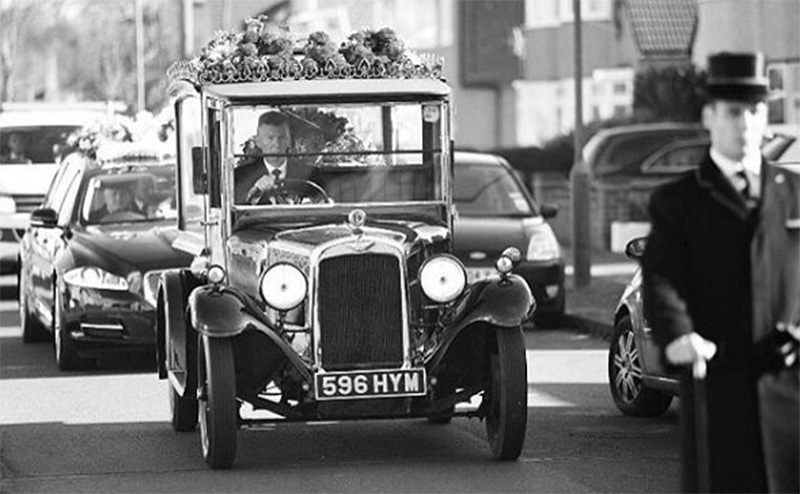 He drives cars, trucks, lorries and ....... hearses! They come in all sizes and flavours, from the traditional vehicles made by Rolls Royce and Bentley to the more modern Jaguars. But sometimes, the less ostentatious makes and models could be seen as more appropriate for the final journey in life and this 1933 Austin Light Twelve-Six, driven by Jon, is a fine example of such a car.